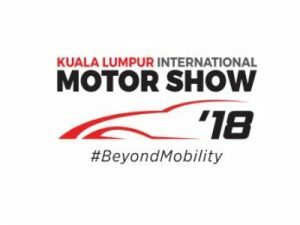 Kuala Lumpur International Motor Show 2018 (KLIMS18) is billed as the largest automotive industry event in Malaysia. The 10-day show is set to showcase a range of motoring machines from passenger vehicles, commercial vehicles, motorcycles, accessories, etc. There will be concept cars, performance cars, new model launches, and many exciting activities. This 9th edition of KLIMS enters a new era as for the first time it will be held at the country’s newest and largest exhibition centre i.e. Malaysia International Trade and Exhibition Centre (MITEC). Innovative technologies are changing the way we commute. The convergence of advanced technologies, such as social networks, big data, digitalization, quantum computing, robotics, artificial intelligence, electrification and autonomous vehicles as well as energy and environmental sustainable vehicles, will present many opportunities and rewards for the industry players. Beyond Mobility is driving Malaysia’s automotive industry towards the future market while serving the customers of today. 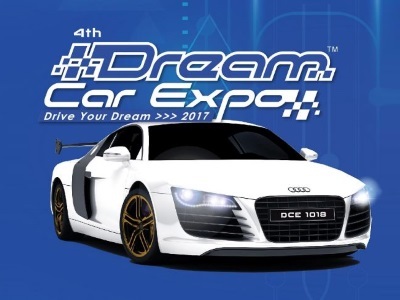 Dream Car Expo is a perfect place for all automobile fans to experience their dream cars and even can own them at a reasonable prices. This expo aims to serve as a market opportunity for car accessories retailers, car care centers, and car dealers. 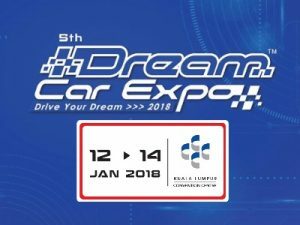 Visit Dream Car Expo 2018 to for exciting deals as well as Free Gifts worth up to RM5,000. Here is why it is a MUST for you to visit DREAM CAR EXPO as it is held only once a year. Freebies were always prepared for visitors who make car purchase reservation during the annual exhibition. 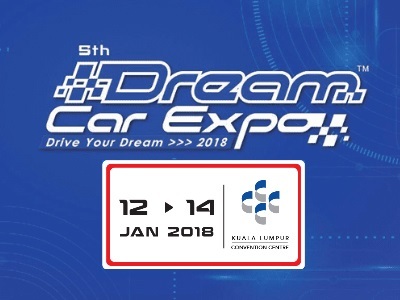 Mark down your calendar for the 5th Dream Car Expo 2018 on 12th – 14th January 2018 at Kuala Lumpur Convention Centre to experiences the best car deals which featuring an enormous display of the latest models sedan, four wheel drive and SUV. Moreover, get the chance to explore them up-close. Also, check out the latest cool car gadgets there for your ride. 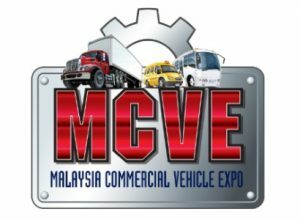 MCVE 2017 (Malaysia Commercial Vehicle Expo) is the largest exhibition dedicated to commercial vehicles in South-East Asia. Buyers, purchasers and operators have the opportunity to review the latest offers in terms of trucks, buses, services and components. During the show, relevant government agencies, professional societies, and associations will join the organizer to hold seminars and updates on their products, services and the latest in trucking. MCVE is anticipated to have some 100 exhibitors showcasing their regional products within 8,000++ square meter of exhibit floor hosting attendees, traders from around the world, and government agencies delegates. 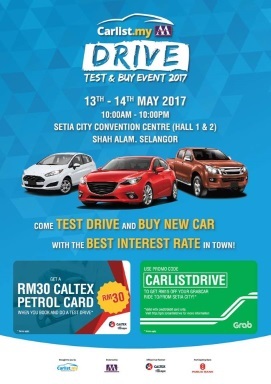 Come join the fun at Drive by Carlist.my where you can test drive a large selections of new cars and get best interest rates, all in one place. 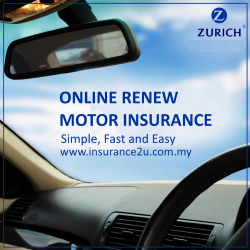 Not forgetting, you stand a chance to win a muscle car worth RM450,000! Bring your family and friends along to enjoy the food, activities and so much more! A large selection of brand new vehicles to look at, sit in, and even test drive. You can test drive as many cars as you like, all under one roof. We even have slalom and off-road courses! Featuring some of the most attractive new car offers and promos, don’t miss out the chance to get your new car with the best price. We are giving away a brand new muscle car to one lucky winner! Remember to check out our roadshow truck to find out more and win freebies by downloading our app. There is definitely something for visitors of all ages, including immersive VR and F1 simulators, RC racing cars, inflatables, Kidzania activities, ladies lounge with mani/pedi and massage services and many more. Featuring a food street parade, we have a number of renowned food trucks that comprise all of Malaysia’s favorite food and drinks. 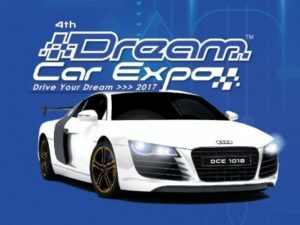 Dream Car Expo is where automobile fans find their dream cars and even get to own them at affordable prices. This event also serves as a market opportunity for car dealers and manufacturers. A platform for the community to share common interests, expand their network as well as business. This event showcases products like car products, car accessories, vehicles products and many more related services etc. 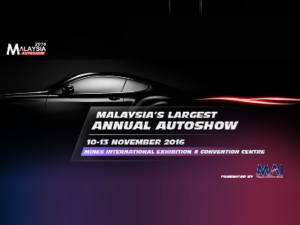 This is going to be the 4th Dream Car Expo at Mid Valley Exhibition Centre. And Golden Land Expo (M) Sdn Bhd is the only organizer for car exhibition at Mid Valley Exhibition Centre. The show will host many exhibitors from around ASEAN as well as local distributors and manufacturers, and is expected to attract 100,000 visitors. More than 150 exhibitors from renowned vehicle brands, aftermarket and accessory products will lay out their extensive product range during the event. There will be special deals only available at the show, with exclusive car deals and discounts offered only during these four days with attractive financial packages. There are also RM200,000 worth of prizes to be won. Visitors who place their bookings on a passenger car at the Malaysia Autoshow stand to win a Kia Rio X 1.4 Sedan worth RM78,000 in the “Buy a Car, Win a Car” contest sponsored by Kia Malaysia. Other Autoshow attractions will include test drives of the latest cars, auto accessory and lifestyle booths and children’s fun and games corner.